in the meantime, it’s september. back to bach. damn sebastian, bach at it again (sorry, i can’t help it). back to this stretch of four months between september and december wherein the music sounds better than in any other time of year. so much that even the cheap din of christmas music is made more profound by all the attendant moodiness of december. the TSO, RCM, and COC all open up shop this month—from this perspective, my life is simply amazing. it’s no minor-league decision to find the perfect entry into the season, the most appropriate musical introduction to the fall. and, unlike my usual self, i think i knocked it out of the park: these brandenburg concertos are music for september, par excellence. ‘In memory, everything plays out to music.’ are words by british filmmaker terence davies that i return to at every opportunity—indeed, my last few septembers have been mere fodder for music of this sort…and as such, i remember them better. truth is i’ve been misidentifying the harpsichord as some sort of high-strung organ. there’s something mesmerizing about it, it’s a supremely meditative instrument—you don’t even have to close your eyes. it’s this eyes-wide-open kind of transcendence that is characteristic of these three concertos. and yes indeed, the silence thereafter all that harpsichord is special, sublime even. it’s the feeling that everything has been said. 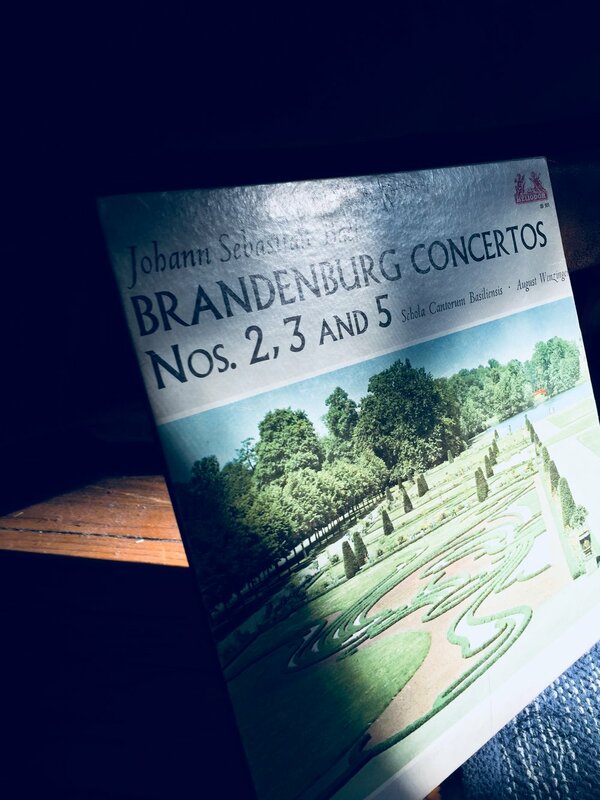 we still have quite a ways to go till that october afternoon—meanwhile, it’s september, and the third movement of the third brandenburg concerto is the most cheerful and profound stretch of music i know. (in a time lapse)———the weather has been lousy this week. the bananas and gourds too are lousy and stunted. we’re in that in-betweenness wherein one walks around with a sweater and shorts. there should be music too for the period between seasons. (the most marvelous thing about the book 15 Dogs by andre alexis is that it takes place in toronto. aside from that, it is also a wildly imaginative exposition into the more plausible experiences of life from a dog’s perspective. their conception of seasons, for example, is a spectrum much more nuanced than ours, taking into account the minute details that span the time in-between the four seasons. ludocivo einaudi’s Divenire would be my choice of music for the mini-season between august and late september. it has, simultaneously, a quickening of pace and a deepening of hues—in one word: autumn.